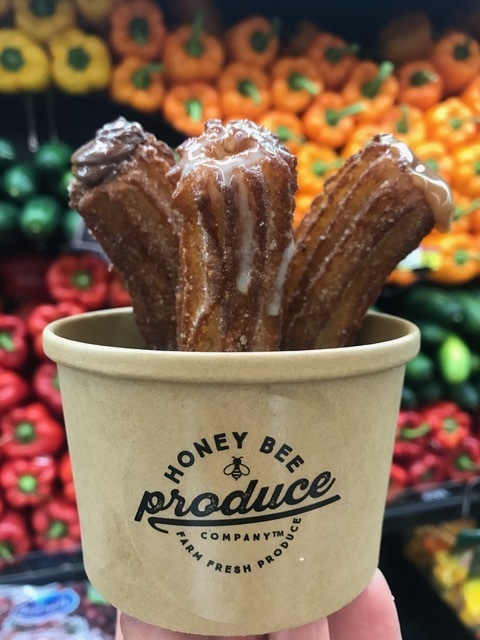 San Diablo Artisan Churros is at Honey Bee Produce Company, 1212 E. Draper Parkway (12300 South) Friday and Saturday 11 a.m.-9 p.m. and Mondays 5-9 p.m.
Can churros change the world? Scott Porter thinks so. 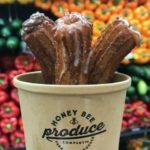 The Draper resident, world traveler and entrepreneur, has brought his love of Mexican cuisine and his desire for positive change to town with the opening of San Diablo Artisan Churros catering and kiosk inside the new Honey Bee Produce Company. 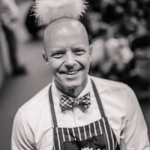 While living in Mexico City for an internship, Porter came to greatly admire the gracious nature of the Mexican people and how preparing and serving food is an expression of love and appreciation. Two Mexican food offerings in particular caught his taste buds’ attention: street-style tacos and fresh filled churros. Porter recalls his first taste at a churro stand in Coyoacán, an artsy district of Mexico City famous for its street food and cool vibe. “I think I ate about seven of them. It was an embarrassing number…I had dulce de leche or cajeta [caramelized goat’s milk], Nutella, sweet cream, strawberry cream cheese…they had about 50 filling choices. 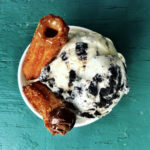 I didn’t discriminate too much,” he recalls of the 7-inch-long filled churros. When he returned to the United States, store-bought churros didn’t compare at all. He wondered why Americans were only eating non-filled churros—namely those sold at Costco and Disneyland. He knew there was so much more dimension to these “magical” delights that are often enjoyed for breakfast accompanied by a cup of hot chocolate or as a late-night snack in Mexico. 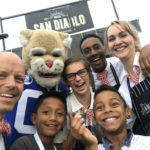 So, with his entrepreneurial know-how, a lot of hard work and his dedicated churro team, Porter opened San Diablo Artisan Churros, hand crafting churros just as he remembers them in Mexico—dough made from scratch, fried on demand, dusted with freshly-ground cinnamon-sugar, filled, and served hot. “We fill them with what we call ‘your choice of happiness,’” he says. There’s the classic fillings, namely dulce de leche, Nutella or sweet cream. 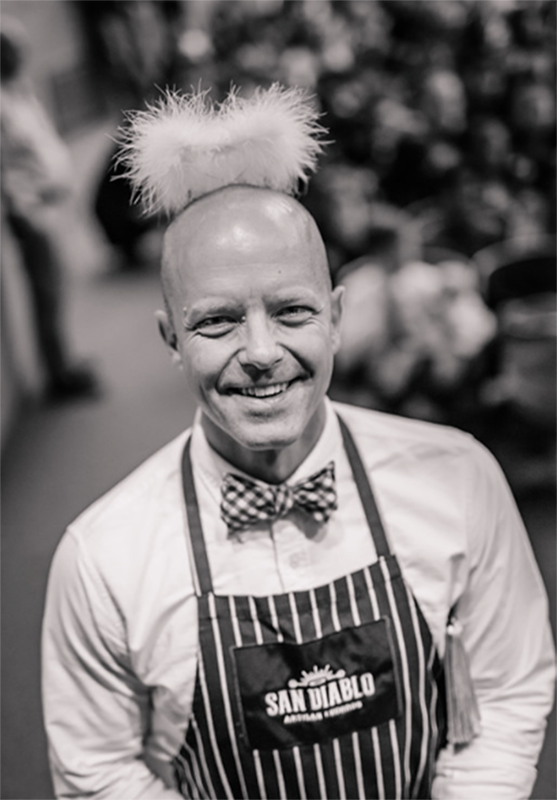 Then there’s the specialty fillings—created by pastry chef Mindy Booth—such as the popular fall flavor pumpkin cheesecake or summertime’s lemon curd. 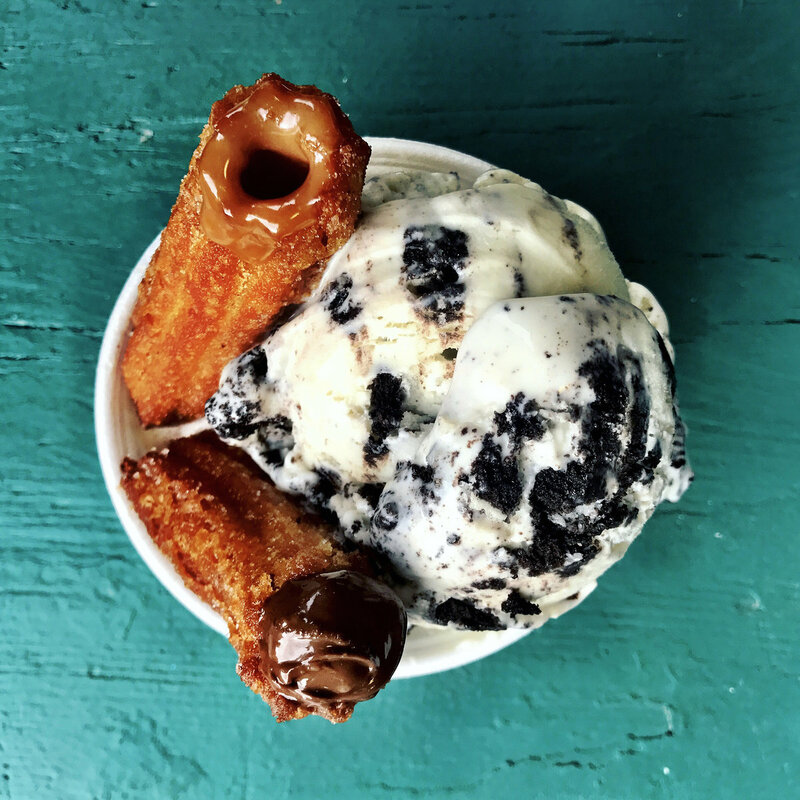 Adventurous eaters can order off the “secret menu,” trying a churro dusted inferno-style (cinnamon sugar with habanero) or the first-of-its-kind Oaxacan-style churro, topped with a roasted cricket. Porter’s favorite churro combo is honey-filled inferno style. 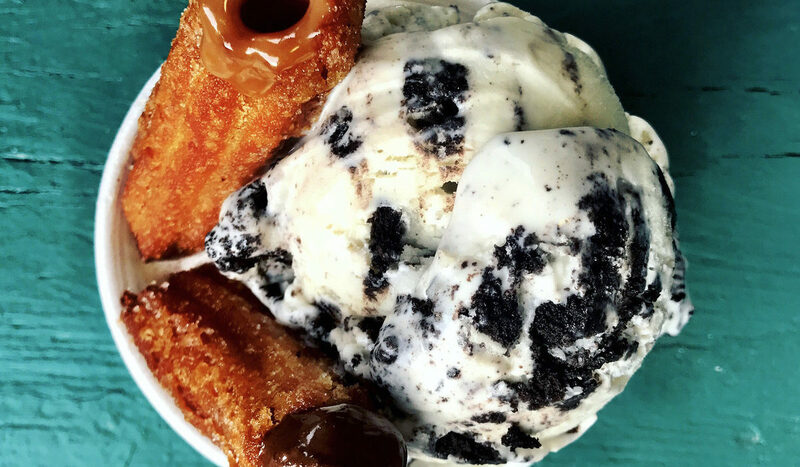 In addition to a churro kiosk at Honey Bee Produce Company, San Diablo’s cart pops up at local venues like The Gateway Mall, Sugar House’s Howdy Homemade Ice Cream and at special events and farmers markets. 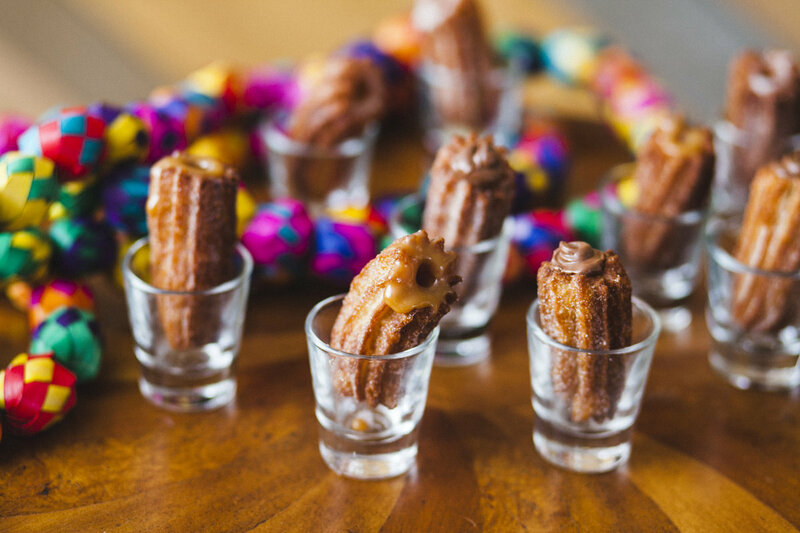 They also cater corporate parties, weddings, birthdays and any other special events with unlimited mini churros for all. “We can do anything,” he says. 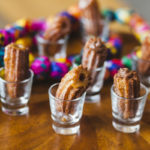 They’ve made a horchata-filled churro for Cinco de Mayo, a mango sticky rice-filled churro for an Asian night market-themed party, a churro rolled in Pop Rocks dubbed “the firework churro” for the Fourth of July and recently introduced appetizer savory filled churros with herbed goat cheese and veggie mascarpone with balsamic vinegar. 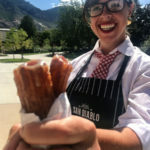 But Porter’s vision extends well-beyond unique churros and spreading churro-cheer to as many Draper residents as possible. 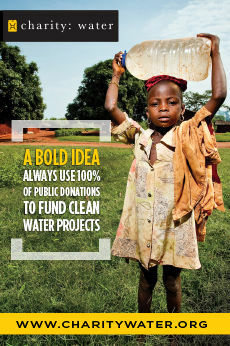 “Giving back is a large part of who I am,” he says. 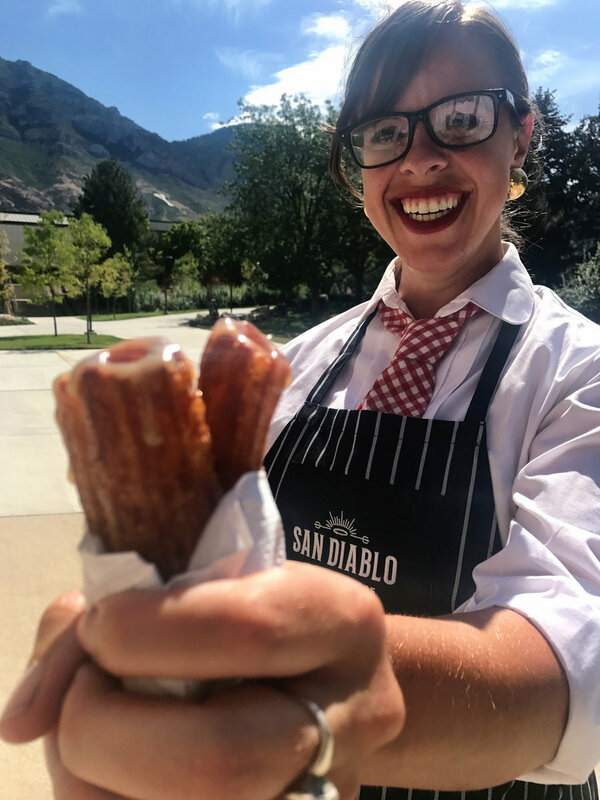 “It’s from my parents, from my faith, and from my belief that God has given us so much that we can give back and make a difference in the world.” Through San Diablo Artisan Churros, he has raised funds for Mexican earthquake victims and helped local nonprofits with his signature annual holiday-giving event—Churros4Change. “We want to recognize, support and honor change makers [in the community],” Porter says of the event, now in its second year. 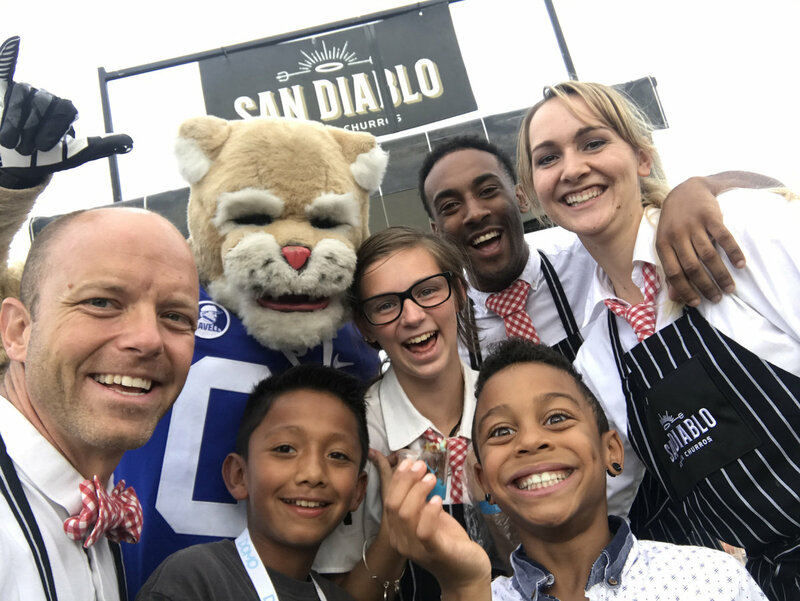 Proceeds from the fiesta—where upwards of 400 party-goers enjoy live music, play Mexican bingo and indulge in all-you-can-eat tacos and churros—benefit nonprofits like Silicon Slopes’ Start-up Santa, Choice Humanitarian, Because He First Loved Us, and Charity Vision. And what a better way to start than with a delicious, world-changing churro.